Only 1 left! 1 items in stock. 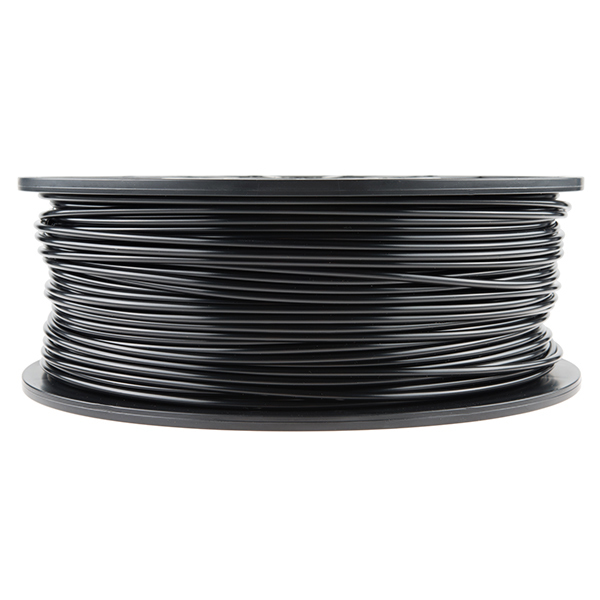 This is a 1kg (2.2lb) reel of 3mm black ABS (acrylonitrile butadiene styrene) plastic filament for 3D printing. 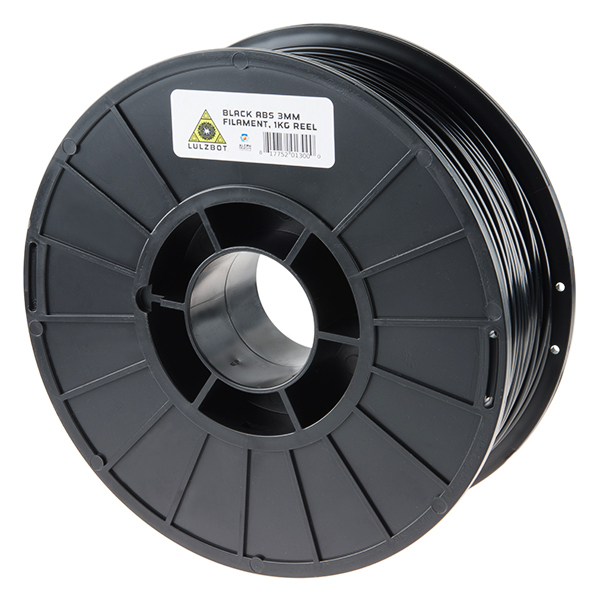 ABS is a great general purpose filament with high strength and good print quality. ABS is one of the most popular 3D printing materials available due to its strength and ease of printing. 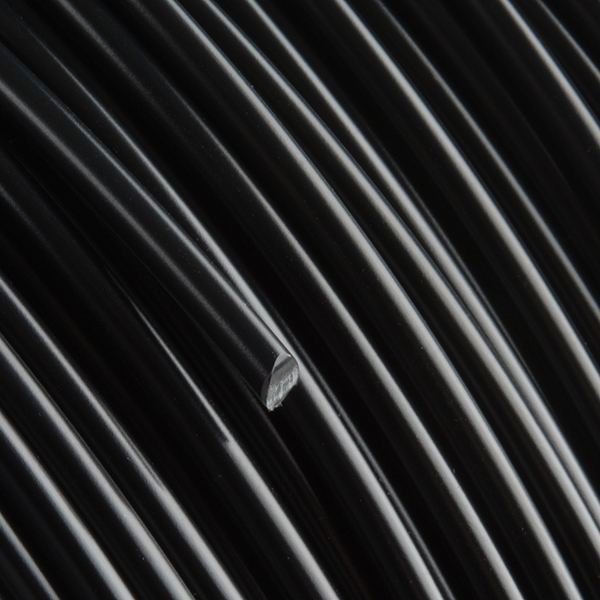 This filament is an incredibly durable plastic that can be used in prototypes or even the parts found on your TAZ 3D printer! ABS prints can be sanded or smoothed using an advanced technique with acetone. With this technique, you can have ABS parts that are glossy and smooth, while simultaneously strengthening the parts themselves by binding the printed layers together. 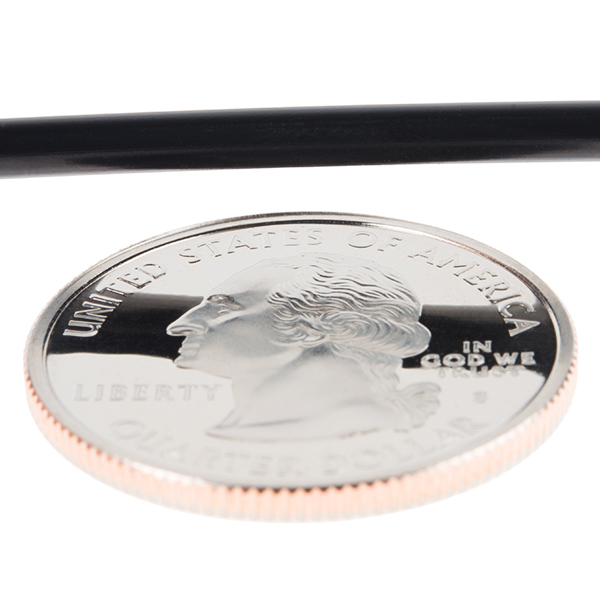 The material comes on a heavy-duty plastic reel and vacuum sealed to keep out any moisture. In this tutorial, we will learn about how to create a theatrical prop for a performance by 3D printing a wand and adding an LED. SparkGear 3D Printer Fillament Test! Not a single issue through the whole spool. Used on the LULZbot 6.